There's more than just phở, you know. 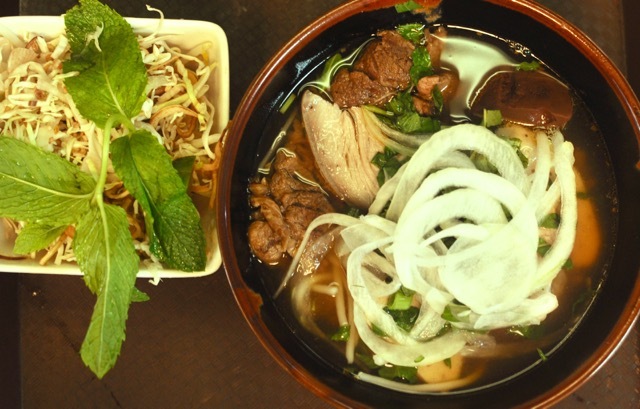 Vietnamese cuisine showcases rich broths, meats cooked with simplicity, fragrant herbs, and exotic fruits native to East Asia. Though fresh spring rolls, a steaming bowl of phở, and French-inspired bánh mì are all absolutely delicious, I’m here to tell you that there are plenty other underrated Vietnamese dishes that many people have never heard of. Coming from Vietnamese heritage myself, I want to tell you about some of my absolute favorites. You’re welcome. Bánh Xèo is a lightly crisp, pancake-like dish filled with juicy pork, shrimp, green onions, and bean sprouts. The seared batter contains coconut milk and the popular spice turmeric that adds to its dimensional flavor and signature yellow color. It’s traditionally eaten with fresh mint leaves and Vietnamese basil, wrapped in crisp lettuce or mustard leaves. After wrapping your bánh xèo in fresh veggies, you dunk your tasty lettuce pouch into nước chấm, fish sauce diluted with lemon, garlic, sugar, and spicy chile sauce. Delish. Filled with flavorful ground pork, minced wood ear mushrooms and onions, bánh cuốn has to be one of my all time favorites. 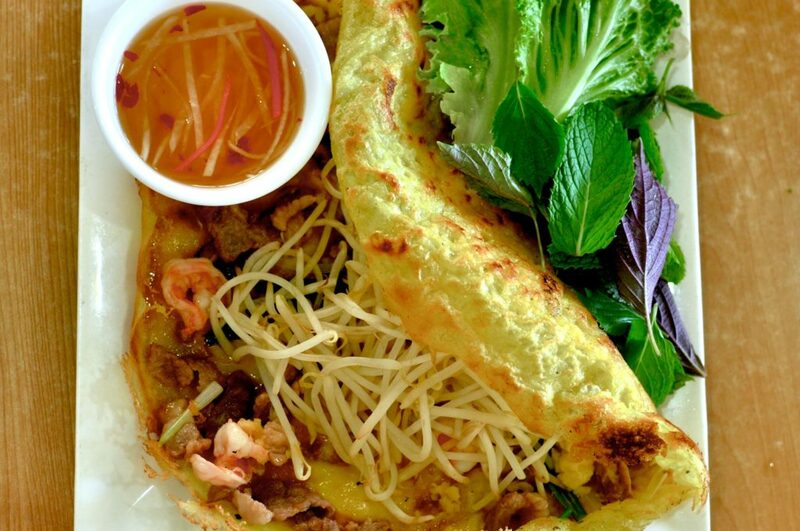 The savory filling is wrapped in a silky rice flour crepe, and topped with sweet and crunchy fried onions and cilantro. It’s served with a heaping pile of julienned cucumbers, lettuce, mint and bean sprouts, along with chả lụa – pork sausage steamed in banana leaves or broiled with a hint of cinnamon. As with many other Vietnamese dishes, Bánh cuốn is dipped in pickled daikon radish and carrots soaking in nước chấm, the sweet, tangy, spicy fish sauce. The soft rice flour crepe and variety of textures from the meat and veggies work in delicious harmony. Originating from the former capital Huế in central Vietnam, this noodle dish features the most delicious broth you’ll ever taste. Beef bones and lemongrass steep in the broth for hours, before it’s drizzled with hot chile oil, shrimp paste, and fresh lime. The dish includes slow-cooked sliced beef brisket and pork, and rice noodles that are thicker and chewier than Phở noodles. It’s topped with beans sprouts, mint leaves, onions, and banana blossom (a cabbage-like vegetable in East Asian cuisine). 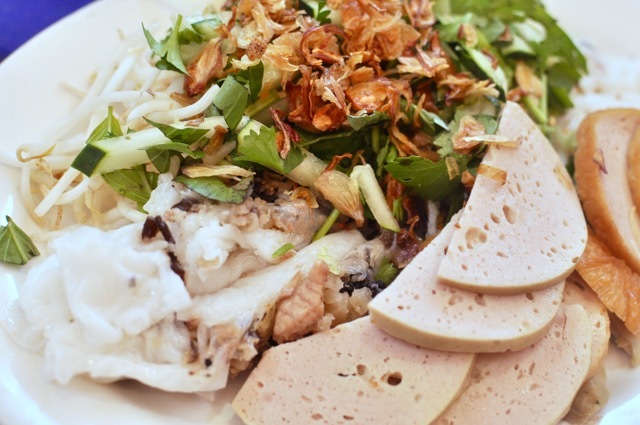 You’d be surprised with how many amazing Vietnamese noodle dishes there are. Phở and bún bò Huế barely scratch the surface of the many complex broths and noodle textures. 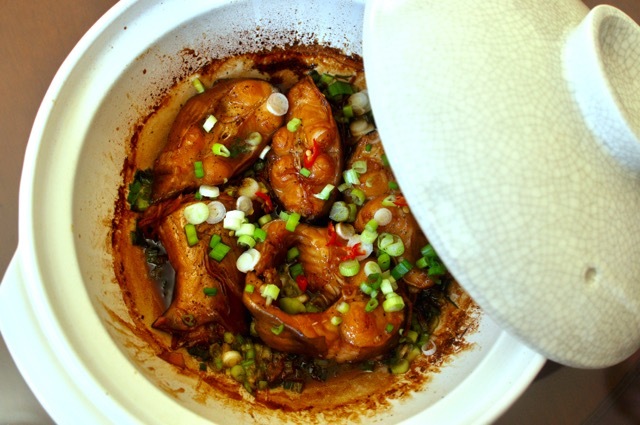 Native to southern Vietnam, Cá Kho Tộ is catfish braised to perfection. It’s traditionally cooked in a clay pot, assumed to emphasize the dish’s flavors. The catfish braises in a delicious sauce, made by caramelizing sugar and marinating the fish in garlic, black pepper, and savory fish sauce. Green onions and sliced fresh chilies add even more dimension to the dish, while all the ingredients simmer and complement each other perfectly in their clay pot home. The sweet and salty scent that lingers from the braising dish is drool-worthy. Oh, and shout out to my mama for the homemade good-good above. Didn’t think I’d leave you without dessert, did ya? 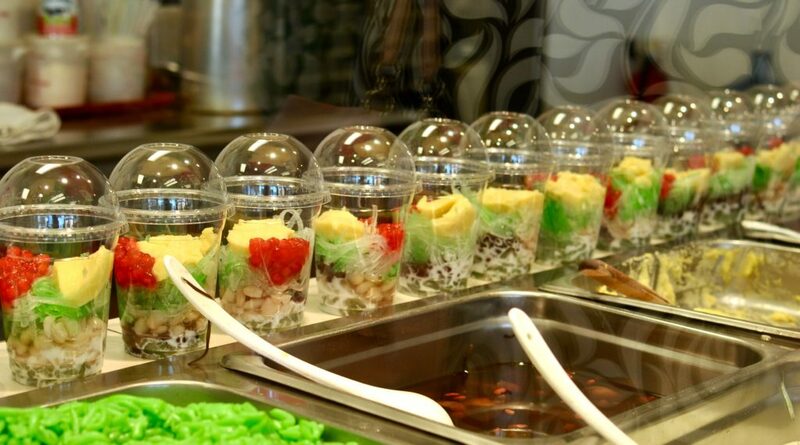 Chè refers to a traditional type of Vietnamese dessert, ranging from tapioca, fruits with shaved ice, jellies, and sweet sticky rice. The signature flavors of chè include coconut milk, mung bean, and longan fruit (a tropical Vietnamese fruit similar to lychee). My personal favorite is chè bắp – sweet sticky rice and corn topped with coconut milk. The sticky rice is dense and comforting, while the corn adds texture and flavor. My favorite part, the silky and sweet coconut milk, is poured on the top of the rice and corn mixture (I always ask for extra). And when served warm? Um, YES please!